Selecting the best bed frame is a tedious and hectic task. You have to check many points and qualities for a perfect bed frame. 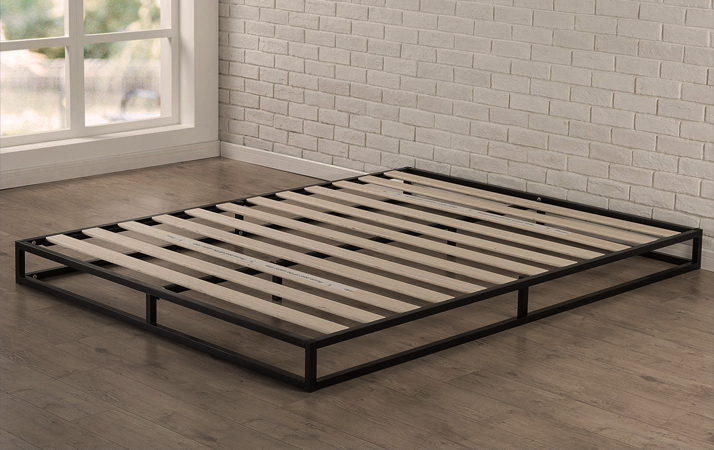 So if you are in search of a bed frame, you have come to a right place as we are going to suggest you some of the best bed frames available in the market nowadays. You have to search out the best match as per your needs and requirements. Some of you might like traditional wooden frame whereas some prefer hard iron frame. When it comes to king-sized bed frames, Zinus is rated as no. 1 bestsellers across the globe. It provides good support along with handsome durability. It's multiple sturdy steel legs provides required stability. It can withstand a weight over 2400 lbs. It provides 13 inches, good ground clearance, which is optimum for under bed storage. Ground clearance - 13 inches. Plastic caps attached to legs for floor protection. Available in folding designs which are handy to use. Withstand weight over 2400 lbs. The frame is little heavy as compared to other frames. This product fits best into the king sized bed frames. Its foundation has been made from strong metal cylinders which provides a rigid and stable base to the bed. It can withstand a weight up to 2000 pounds of weight, so it is good for heavy people for a comfortable sleep. This foldable frame ensures that you don't need to buy any spring box, which is quite hectic and requires yearly maintenance. This frame overall provides long durability with stable base and support. 45 cubic feet under bed storage space. Rubber caps to protect the floor from marks. Easy to assemble. You have to fasten the bolts. Eliminates the need for spring box. Recessed- leg design for safety. A lot of under bed space. Lack spring meshes to support the mattress. It is another product from zenus which proves to be no.2 bestseller across the globe. This bed frame comes with nine strong Steel legs which give good support to a base and provides great stability. 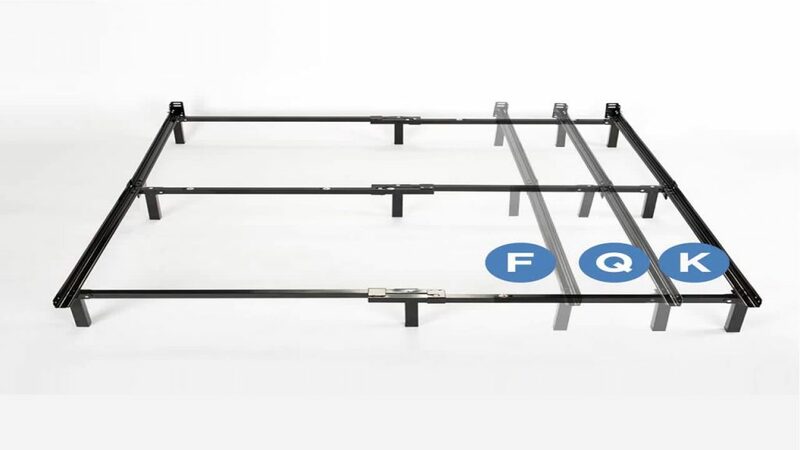 If you don't want to mess with assembling bed frames, then you can go for this as it provides easy locking system and assembles without any specialized tools. One thing to note is that it has a ground clearance of about 6½ inches, so it does not provide enough under bed storage. It can withstand a bit of over 1,200 pounds. The fascinating structure spread the Ved equally onto the nine legs which provide study base and good support. Rubber caps to protect your floor. Support all types of mattress. Recessed legs for support and safety. ​Lacks spring mesh to support the mattress. Some sharp edges which can prove to be harmful. 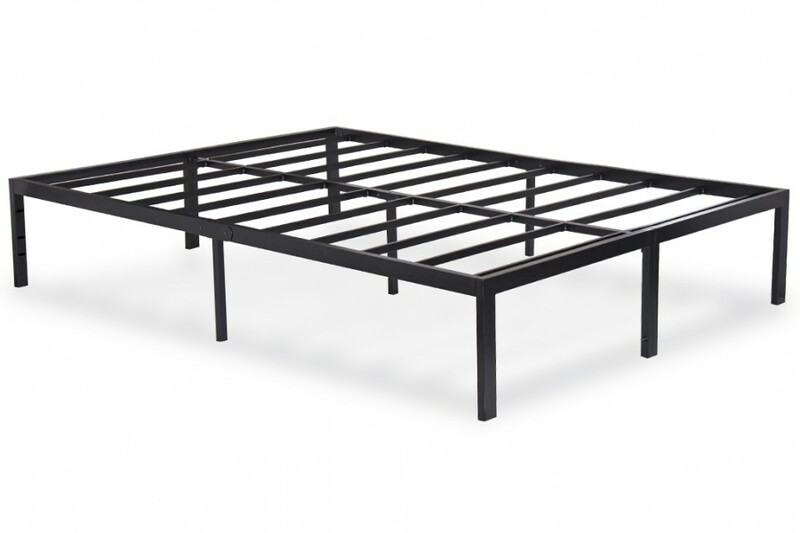 This is the most elegant product from olee, which provides massive duty metal bed frame for deluxe mattresses. It offers excellent comfort and can be used for any mattress. 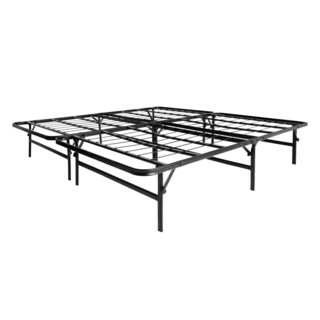 The frame is built up with solid steel which offers a sturdy base, and it does not need any box spring. It is quite durable and enhances the lifespan of your mattress. Five years limited manufacturer warranty. Outer dimensions : 81.5 x 61.5x 14 inches. The mattress is embedded in a steel frame to avoid sliding or wobbling. Sufficient under bed storage space. Steel slats for better durability. It doesn't come with any caps, though company ensures that it will cause no harm to the floor. This 14 inches metal bed frame is constructed of durable metal that offers some lovable features. 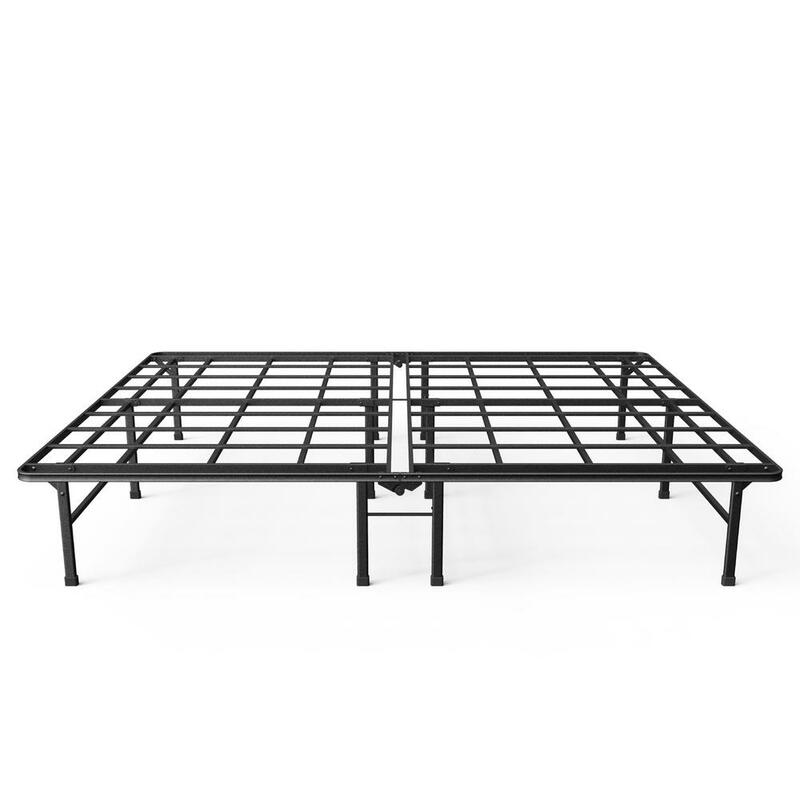 This durable black metal frame supports every type of mattress and provides 13 inches of under bed storage space. One exciting point to note is that it can be considered both as a foundation and a frame as it provides support for the mattress, so no foundation or box spring is needed, but if you want to add a foundation, you can do that as well. 13 inches under bed storage capacity. Dimensions : 80 x 76 x 14 inches. Rigid surface to enhance mattress lifespan. Caps to ensure floor protection. 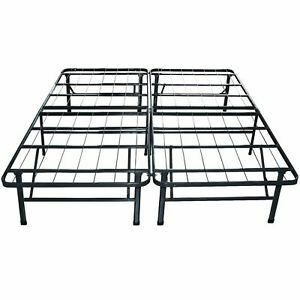 So, these were some of the best bed frames available for a great and an affordable price. Hope this article helped you find your ideal bed frame.If you have any questions regarding this, feel free to ask in the comment box.